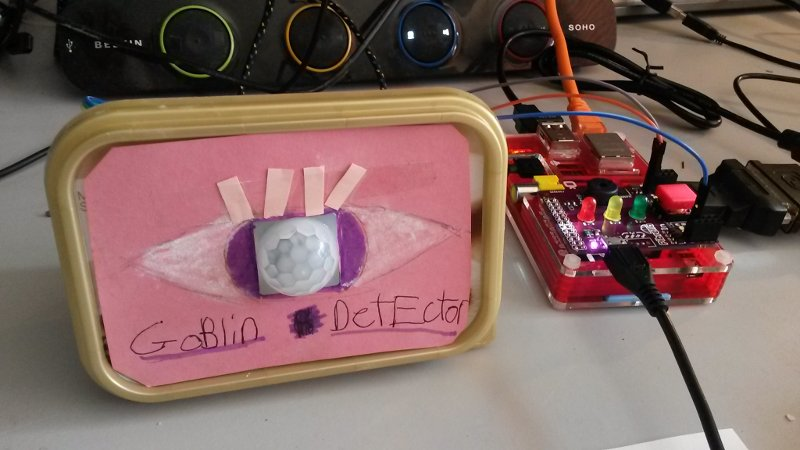 Raspberry Pi Goblin Detector #piday #raspberrypi @Raspberry_Pi « Adafruit Industries – Makers, hackers, artists, designers and engineers! This is a cute Halloween project for kids made using a Raspberry Pi. Via Raspberry Pi Pod. Read the full tutorial here. A Python programming project for the Raspberry Pi together with the Pibrella add-on, plus a standard passive infra-red (PIR) movement sensor, for the Raspberry Jam at PyCon UK 2014. Also suitable for other 3-wire sensors. My eight-year-old daughter Annabel’s bedroom is plagued by goblins (her five-year-old sibling twins). Annabel and I created a Goblin Detector, which guards her bedroom while she’s out, like a burglar alarm. If it detects movement, it sounds a buzzer. 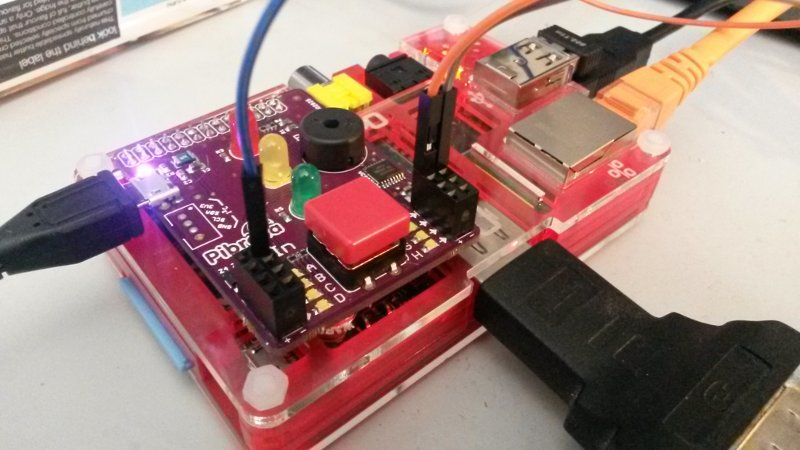 We used the Pibrella add-on to make the wiring easier, to give us some lights, a button and a buzzer ready-to-go. 1x Raspberry Pi – any model A, B v1, B v2, B+ – around £25. 1x HC-SR501 PIR Motion Sensor Module – should be around £3-£5 from eBay. Teachers – look out for listings with bulk discounts for 3, 5, 10 sensors; I’ve seen ten for under £10 if you’re prepared to wait for delivery from China. 1x small empty clean margarine tub – optional, to house the sensor. A case, optional. I used the Pibow Coupé (£8.50) which gives easy access to the GPIO pins but there are many cheaper alternatives or even a paper/card case for the model B and for the B+ that you can print out for free (remember to select the “actual size” option when you print).